Here are the most fun things to do in Aruba on your vacation, updated in 2019. These fun activities will sure leave you with a lot of memories and photos to bring back home. Atlantis Submarine will take you to the gorgeous coral reefs and picturesque shipwrecks and is highly recommended for those who do not snorkel. ATV and Horseback riding tours are also highly popular here among visitors. And of course there are plenty of watersports such as snorkeling, scuba diving and cruises that you can choose from. Read on about what tours in Aruba are a must-take as well as which activities to do while on your vacation here. Ever felt like going for a trip under the water while staying on a tropical island? 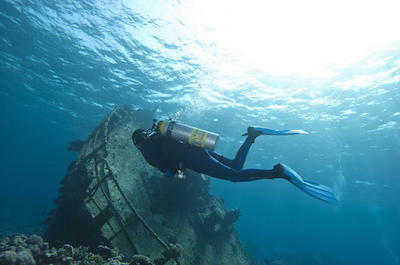 One of the most interesting things to do in Aruba is to take a semi-submarine or submarine ride that will travel to many of the fascinating underwater sights of the Caribbean Sea. On the submarine guests will view colorful coral, fish and shipwrecks that shimmer as well as shine in this watery wonderland. 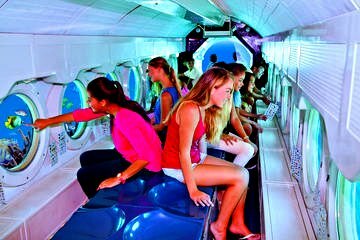 The semi-submarine, one of the top Aruba activities, was developed to view the Great Barrier Reef in Australia and is now available to help patrons observe the pristine Arashi Reef. This specially constructed machine does not submerge and guests view the sea floor through a series of large glass windows. These are two experiences that will leave you with plenty of memories of your time in Aruba. One of the more exciting things to do in Aruba with your family is to view the beautiful underwater world of the Caribbean Sea while on a Seaworld Explorer Semi-Submarine tour. Your 1.5-hour excursion begins when you meet a local at De Palm Pier where you will be taken to board a state-of-the-art Seaworld Explorer Semi-submarine. 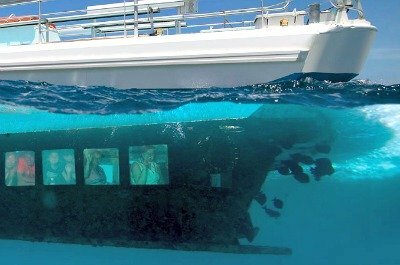 You will be amazed at this vessel with as you descend to the glass hull five feet under the Caribbean Sea. 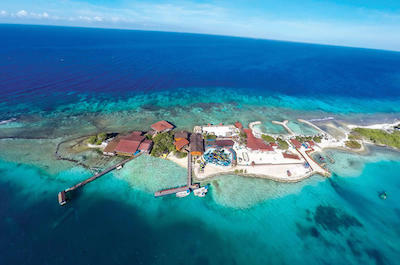 As you travel in this comfortable air-conditioned boat you will be able to view the brightly colored marine life as you travel over the incredible Arashi Coral Reef. While traveling your expert captain will give you a detailed narrative of the beautiful fish and coral formations you will view. Continuing with your voyage on the Seaworld Explorer semi-submarine tour you will travel to the famous submarine wreck named Antilla which is a 423-foot German freighter destroyed during WWII. You will thoroughly enjoy viewing this ship which is only partially submerged allowing for you to view the entire ship and the wildlife it supports both in as well as out of the water. Your adventurous Seaworld Explorer Semi-submarine Aruba tour concludes when you return to the De Palm Pier. 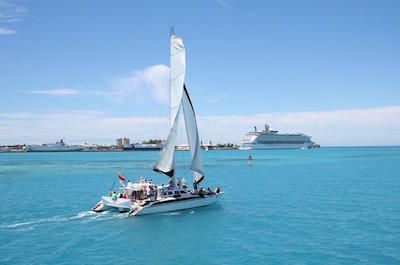 One of the most fun Aruba activities is to ride on the high seas with a cruise, boat or sailing experience. There are a wide variety of options that range from romantic dinner cruises on a yacht to skipping on the water while sailing on a catamaran to renting a sailboat complete with your own captain or instructor. Add-on features and special packages include champagne breakfast, snorkeling at a shipwreck site, seaside lunch or dinner as well as scuba diving. The cocktail and sunset cruises are a wonderful time to mingle with other Aruba visitors while you watch the beautiful colors of a Aruba evening off in the horizon. Guests can easily find the right match of sailing vessel coupled with their passion of several activities. People that are looking for motorized land adventure when planning things to do in Aruba usually will choose a 4WD, ATV or other Off-Road activity to keep them busy. These attractions will take guests to remote beaches in order to view unique landforms that were shaped by Caribbean Sea waters and the flowing trade winds. Whether you are navigating the sand on the beach or a beaten dirt road, patrons will learn interesting facts about the culture, history and natural scenery of Aruba. Guests can choose a variety of transportation modes based on time, distance and experience level in off-road excursions. Aruba ATV , UTV and off road tours will take you where no bus can go. On this fun mode of transportation, you will explore Aruba's famous landmarks - Arikok National Park, Arashi Beach, Baby beach and Natural Pool. 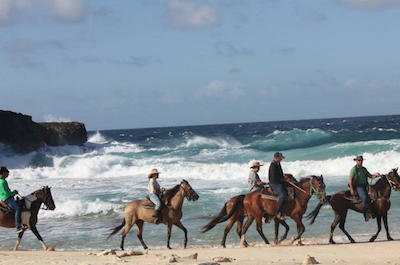 Horseback riding is one of the fun activities in Aruba when you are looking for a neat way to view the island. Guests who are into horseback riding in Aruba ride through picturesque island landscape that may include several white sand locations such as Baby and Arashi Beach. This is truly one of the most amazing Aruba activities. Participants will travel through fields of Aloe, gaze upon fabulous rock formations and even swim or snorkel at Natural Pool. Riders can also choose Arikok National Park where the views of sand dunes and the Caribbean Sea shoreline are once-in-a-lifetime events. The true beauty of Aruba can be found while horseback riding with an expert guide who will explain all the interesting details of the island's natural beauty. 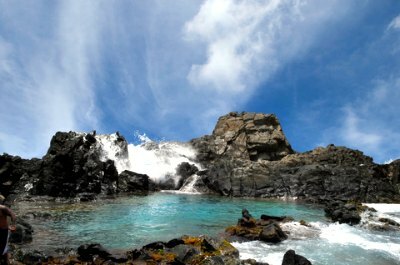 Visiting the Natural Pool is one of the nicest things to do in Aruba. Known locally as the Conchi or Cura di Tortuga visitors to Aruba have been amazed by the secluded location and interesting rock barriers that surround the area. Patrons can view the Natural Pool from a distance or take a quick dip. Snorkeling and swimming in the pristine seascape is permitted and guests are amazed at the force of the warm sea water as the wave’s crash over the rock barriers. Patrons also participate in a variety of transportation to the Natural Pool which includes ATV’s, Boats and Jeeps. Many patrons will also view Baby Beach and have a tasty lunch on the sand during their excursion. 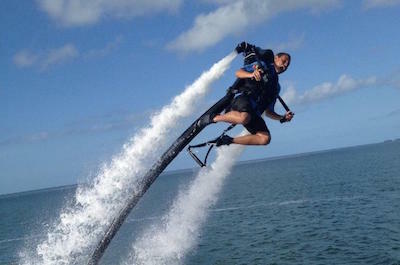 One of the newest things to do in Aruba is flying above the Caribbean Sea with a Jetpack. This fabulous water propelled machine will allow you to perform incredible acrobatic stunts after just a few minutes of training. This Jetpack is amazing with a 225 horsepower engine which brings the necessary power to lift you off the beautiful Caribbean Sea and into the warm air. Guests will experience the force of the water propulsion as they flip, turn and twist while they glide above the water. This attraction is quickly becoming a beach sensation not only to ride but to watch too! One family-friendly idea for things to do in Aruba is taking one of the many sightseeing opportunities that are available. 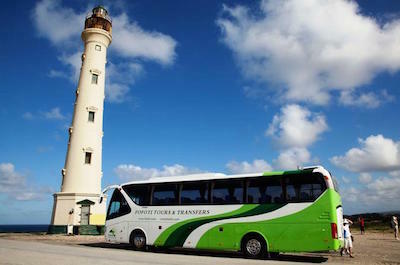 These tours are designed to take guests in a comfortable coach to many of the exciting cultural, historical and natural sites that exist in Aruba. Patrons will be surprised at the natural beauty of the island and its' interesting history. Guests can choose from a variety of tours that include places like Arashi Beach, The Aloe Factory, Casibari Rock Formation, Natural Bridge and even an Ostrich farm or Philip’s Animal Farm. Your personal guide will explain why each location plays an important role in Aruba’s past, present and/or future. Your day will be filled with plenty of outstanding memories that were created by viewing the intriguing landscape and historical sites on these Aruba tours. People may not think of riding a Swegway when they are looking for things to do in Aruba. Riding a Segway is one of the best ways to see the island. Patrons are amazed with the local sightseeing opportunities that can be pleasantly held by riding a Segway X2 All-Terrain vehicle. There are several options for people that are looking for an all-day excursion or something that may last an hour. 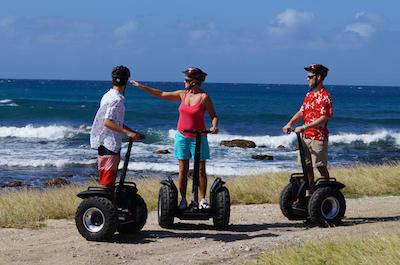 Either way Segway adventures will have you traveling on paths along the beach shore while you learn the interesting culture and history of Aruba from your personal guide. When you are considering things to do in Aruba, guests should always be prepared to let their hair down and take a ride on the wild side. 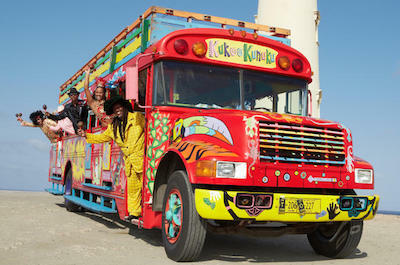 Your adventure begins when a caravan of colorfully painted Kukoo Kunuku party buses pull up to your hotel. From there the party starts when patrons visit a number of pubs while soaking in the local culture as well as indulging in a couple of signature island cocktails. Guests may also choose a combination of eating and drinking establishments that will twist your taste buds, dancing skills as well as excitement for culture into a pleasurable experience. The open air buses are the perfect way to soak in the warm Caribbean air while letting your thirsty habits be quenched by several stops for fun. When you are lounging on the beach looking for things to do in Aruba, people are intrigued by the sport of parasailing. Patrons fly above the Palm Beach coastline with the glorious Caribbean Sea beneath them as they spend twelve minutes viewing the beautiful colored waters, ship wrecks and sea life which live in the warm waters. Flyers can go solo or share the experience with a partner. 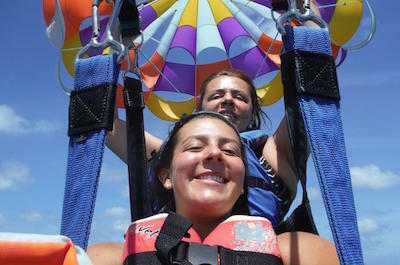 This flying adventure above the Caribbean Sea is an exhilarating jolt of adrenaline that will take you to new heights. Sightseeing in Aruba is a fantastic thing to do in Aruba that will allow you the flexibility to enjoy the island and visit what is important to you for you to complete your perfect experience. 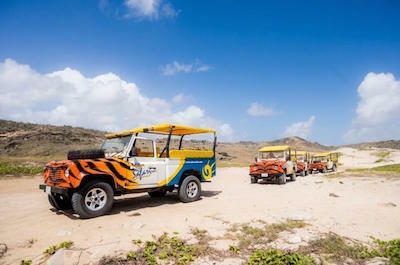 Sightseeing is one of the most amazing Aruba activities and the choices are numerous with spectacular excursions which include various forms of transportation such as dune buggies, jeeps, ATV’s and more to help with your adventure. Sightseeing in Aruba is awesome with such natural scenery selections as Arikok National Park, Arashi Beach, Casibari Rock Formations, Natural Pool and Baby Beach. If you like to learn more about the manmade built environment on Aruba then choose one of the interesting sightseeing tours in Aruba that will take you to the California Lighthouse as well as to the Dutch-Colonial city of Oranjestad where you can view the incredible architecture. No matter which type of sightseeing tour in Aruba you select, you will be thoroughly pleased with your adventure. If you are looking for the most romantic thing to do in Aruba then you and your loved must see the Aruba Frank Sinatra Dinner Show. Your 2.5-hour dinner show is a spectacular mixture of iconic American music with superb Aruba-style cuisine and begins at Palm Beach 150 where you will find the Old Cunucu House Restaurant. 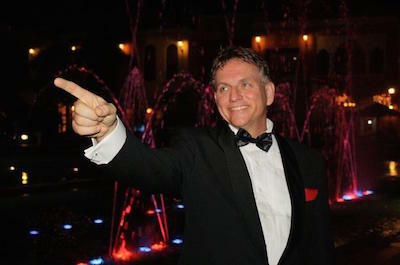 The Aruba Frank Sinatra Dinner Show is performed in a small room at the restaurant that only seats forty guests to ensure an intimate evening. Once seated at your table you will order dinner which features Aruba cuisine that has been influenced by the Spanish, Dutch and French. Your meal will be served in several courses similar to that in a fine European restaurant which allows you to listen to the fabulous live music. As your evening progresses you will be amazed at the precision of the orchestra and Fred de Jong as he belts out such classic songs as Fly Me to the Moon, My Way, New York-New York as well as many of other of your favorites. Your perfect romantic evening ends when you leave this fabulous 150 year restored farmhouse and return to your hotel or ship for a great night of sleep. Snorkeling in Aruba is one of the more popular things to do in Aruba when you visit this island which is surrounded by the beautiful Caribbean Sea. When you choose to go snorkeling in Aruba you will be pleased with all of the various choices of excursions you can choose from whether you are looking for a half-day or full-day tour. Another excellent reason to go snorkeling in Aruba is the gorgeous coral reefs and marine life you will experience at such fabulous places as the Arashi Coral Reef and you can snorkel around the WWII German shipwreck the Antilla. You have a wide variety of ways to go snorkeling in Aruba with sailing options on a pirate ship and catamaran or you can reach the Caribbean Sea by horseback. Snorkeling in Aruba is sure to bring a new meaning to adventure while you are on vacation and is a must do activity while in Aruba. If you are a diver then your best option for things to do in Aruba is to experience the wonderful underwater world that exists around this special island. When you are scuba diving in Aruba you will visit some spectacular coral reefs like Arashi, Tire and the Harbour as well as other interesting spots are shipwrecks such as the Jane Sea, Debbie II and Pedernales. Scuba diving in Aruba tours are quite varied with one to two tank dives, introductory classes for beginners and you can work on your certification too. The brightly colored coral reefs and fish like stingrays, yellow tail snapper and sea turtles will enhance your underwater adventure into memories of a lifetime. Whether you are a certified diver or not, scuba diving in Aruba offers something for all skill levels and is one of the most beautiful portions of the Caribbean Sea to explore. When you arrive at Aruba and are looking for things to do in Aruba that are unique, then you need to visit De Palm Island. Your 7-hour excursion begins with complimentary pickup service from your hotel or by taking a short walk from the cruise ship pier where you will meet your professional guide. From here you will travel by motor coach to De Palm Island where paradise and a full-day of activities await your arrival. Once at De Palm Island you will be able to spend as much time as you want snorkeling, sun tanning on the white sand beach, gliding on ziplines and there are even upgrade options to Snuba or view the beauty of the Caribbean Sea with a Sea Trek water helmet. Also when you visit De Palm Island you will be treated to complimentary unlimited food and drink that is sure to please you taste buds. When you are finished with your visit to De Palm Island, you will be transported back to your hotel or pickup place by a comfortable coach. Sunset Cruises in Aruba are one of the most romantic things to do in Aruba and you will also be mesmerized by the multi-colored sky. Your evening will be filled with joy and happiness as your sunset cruise in Aruba sails off on the beautiful Caribbean Sea. During your sunset cruise in Aruba you will be treated to fantastic Caribbean-style cuisine as well as a spectacular happy hour with open bar. Most sunset cruises in Aruba involve sailing on a catamaran which has enough space for you to find an intimate spot while you sip your favorite island cocktail before and after dinner. Once the sunset is over another show begins as you view a thousand stars which illuminate the sky around. Sure the sunset cruises in Aruba are romantic but if you are just looking for an interesting party scene then you need to go on one of these excursions. 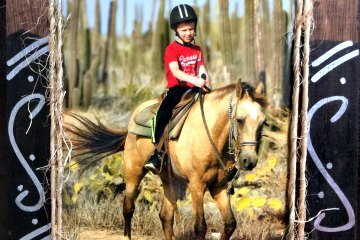 A not-to-be-missed kids-friendly thing to do in Aruba is the Gold Mine Ranch - a fabulous ranch with friendly staff, that offers the most popular horseback rides on the island! Gold was discovered here in 1824 accidentally by a young boy of 12 who was herding his father's sheep. A gold rush followed, and today you can explore the Bushiribana Gold Mill Ruins on horseback and be enchanted by the stories of the gold diggers. The venue and the views are stunning - you will travel on a horseback in the area where no car will be able to go. You will see a large territory covered with cacti, untamed beach with enormous waves, and maybe could event spot wild donkeys. Suitable for all ages, the horses will be allocated according to your riding skills and a guide will be with you at all times. Explore the north east coast, the Hidden Lagoon and the Hidden Valley amongst other famous spots on a relaxed and private ride with friends and family! 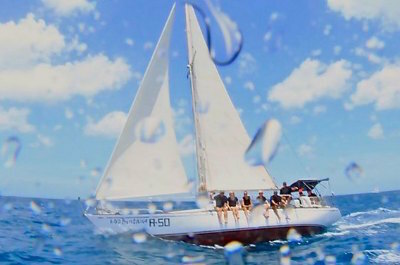 The Aruba International Regatta takes place every year in August, the first weekend after school starts (Schools in Aruba usually reopen mid-August). 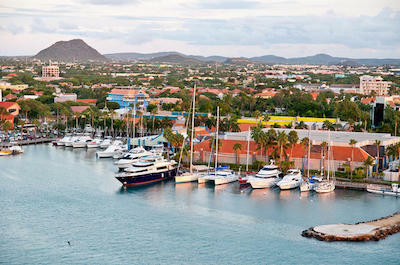 The Aruba International Regatta is a three-day party which includes two-days of racing in several different boat classes. The shear amount of boats that arrive in Aruba is amazing and the blue skies are filled with beautiful sails clapping in the wind. Boat races include categories for yachts, optimist, beach cat, sunfish, miniature and more. Other Aruba Activities during the International Regatta include watching windsurf and kitesurfing competitions as well as enjoying island cocktails at several beach parties and lounging on Surfside Beach. Along with this Aruba tour, there will also be educational programs from leading scholars as well as research institutions for you to learn more about the fragile coral reefs and marine life of the world. 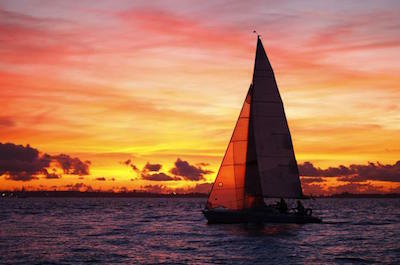 So, when you are looking for one of the most entertaining things to do in Aruba then you must see all the action at the Aruba International Regatta. Visit website to learn about legibility for participation, and schedule. Golf enthusiasts can find three varying style of golf courses to enjoy when searching for the things to do in Aruba. Tierra del Sol is a traditional 18-hole golf course which is complimented by the beautiful island scenery and sand dunes. The Links at Divi Village and Golf Resort offers a masterly groomed 9-hole course that is minutes away from most resorts located on Divi, Eagle and Palm Beach. 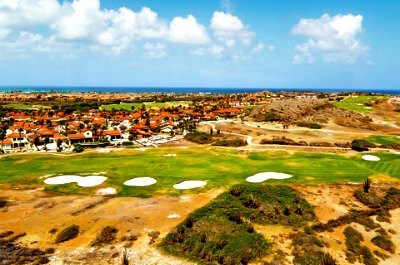 Aruba Golf Club is unique because the only grass to be found is on the greens and the challenging terrain can take a toll on your score. Golfing guests will have plenty of stories for their buddies back home after playing any of three challenging golf courses in Aruba.